Permanent floodlighting was installed here in 2004. 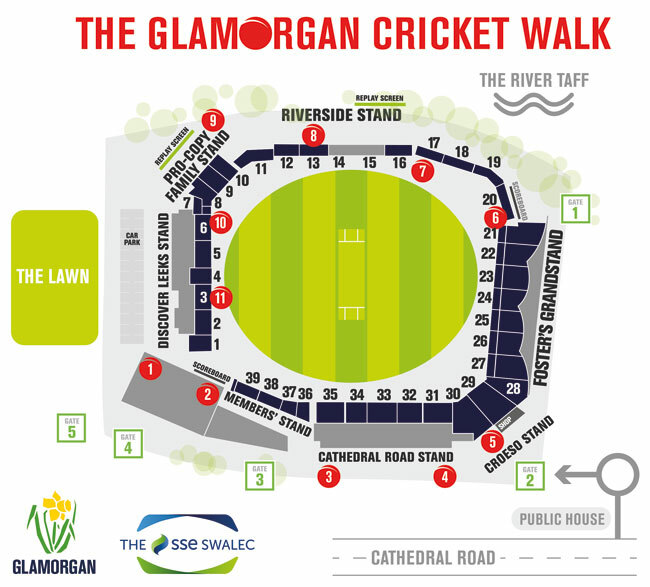 Like other international cricket stadiums, The SSE SWALEC contains a series of floodlight pylons. These are used in international games, as well as in domestic matches by Glamorgan Cricket, when the players use a white ball. The floodlights enable day/night matches to take place where play continues after dark, with the players wearing coloured clothing and using white balls. Normally cricketers wear white and use red balls, which can be difficult for players to see under artificial light. The white balls are made of the same leather material as the red balls, but are given a white stain. 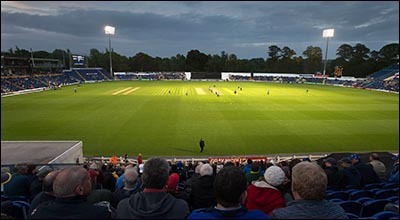 Glamorgan has hosted other high-profile floodlit matches, including the Finals Day of the 2013 Twenty20 competition when Hampshire, in front of a sell-out crowd of 16,000, defeated Yorkshire. The Twenty20 match format was adopted by the England and Wales Cricket Board in 2003 for county matches. Each team has just one innings each, and the maximum length of each innings is 20 overs (20 sets of six bowled balls). Before the advent of floodlights, cricket matches were sometimes interrupted or cut short if the daylight became too dim for players to see the ball clearly. A mathematical formula, known as the Duckworth-Lewis Stern Method (DLS), exists for calculating how many runs the second team would need to win the match if play has been interrupted by rain or poor light, and playing time has been lost. The QR codes for this page are at position no 9 (shown in red) on the map below.